Cognitive Dissonance: the psychological discomfort that happens when one’s deeply held beliefs or assumptions are contradicted by new information. Clinical Iatrogenesis: The injury done to patients by an ineffective, toxic or unsafe drug or surgical treatment. When I was in medical school, one of the memorable lessons that I learned from the few lectures that I received on the history of medicine was the sad story of what happened to Ignaz Semmelweis (1818 – 1865), a young physician who practiced obstetrics in Vienna, Austria. Semmelweis died before his time after he was hounded out of his medical career (and out of Vienna) by close-minded establishment physician “colleagues” who refused to believe what Semmelweis had repeatedly proven to them: that the enormously high mortality rate of Vienna’s obstetric patients (from “childbed fever”) was caused by the older physician’s failure to wash their hands prior to examining and/or delivering their pregnant patients. In effect, Semmelweis was accusing them of being guilty of fatal “doctor-caused” (ie: iatrogenic) diseases. Up until Louis Pasteur formulated the germ theory of infectious disease it was not unusual for physicians to go directly to the delivery room from the autopsy room while in the middle of dissecting freshly dead, often infected bodies while trying to determine the cause of death. Many of the corpses were the doctor’s own septic OB patients who came into the hospital healthy, and ended up dead because of an iatrogenic infection in the immediate post-partum period. Often the babies died or were sickened as well. Semmelweis had noted that in the obstetric service of the female midwives (at the same hospital) the mortality rate for childbed fever was far lower than the OB service that was under the control of the male physicians. Midwives were gentler practitioners, more aware of the importance of good hygiene and far less likely to do pelvic exams; and they also did not do autopsies. At the time, women in labor were admitted to the two services on an alternating basis, but the mortality rates were well known in the community, and patients in the know often refused to be admitted to the physician services, preferring to deliver in the street had a low mortality rate. So after considering the range of possibilities that might explain the higher mortality rate in the physician-controlled OB service, it was obvious to Semmelweis that the probable cause was the lack of physician hand-washing. Semmelweis set out to prove his thesis. It didn’t take him long to prove the connection. He did the obvious simple experiment that proved to him (and many other unbiased observers) that his theory was correct. He simply had his group of forward-thinking obstetric physicians that were under his supervision wash their hands with a chlorinated antiseptic solution prior to examining or delivering their patients. The incidence of childbed fever dropped dramatically down to the same rate experienced by the patients of the midwives, thus proving that childbed fever was an iatrogenic disease. But instead of being celebrated by his colleagues for his life-saving discovery (which he repeated enough times to convince anybody with an open mind about the truth of the matter), Semmelweis was ignored, denigrated and eventually driven out of town for being impertinent enough to have pointed out that the esteemed physicians of his otherwise honorable profession had been responsible for the deaths and sicknesses of the pregnant women in their care. It took many years after Semmelweis’s death for medicine to recognize the importance of his discovery and to give him the posthumous honor he deserved. It was another century before the term “The Semmelweis Effect” came into existence. It hadn’t been very many decades prior to Semmelweis’s discovery that blood-letting (opening veins to bleed patients) was an approved treatment for any number of illnesses for which physicians had no cures. 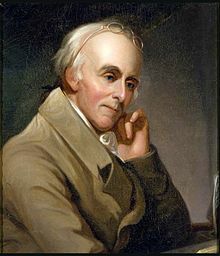 I recall learning that repeated blood-lettings were administered to George Washington by his trusted physician, Dr Benjamin Rush (who was later to be celebrated as the “Father of American Psychiatry” – and whose likeness is proudly used as the symbol of the American Psychiatric Association). Dr Rush, a co-signer of the Declaration of Independence, believed fervently in blood-letting for many of his patients, and he had persisted in bleeding Washington until he died of blood loss and shock. In other words, an iatrogenic disorder killed the first president of the United States – and very likely many others in that era as well. One can only imagine the wrath directed at any upstart physician (or an unlucky patient’s family) who had the temerity of questioning the effectiveness of the treatment. Dr Rush of course was never accused of medical malpractice since medical knowledge had not progressed sufficiently to reveal that such “treatments” were counterproductive. Also, there was probably no Semmelweis around to point out the folly of such barbaric approaches to sick patients. 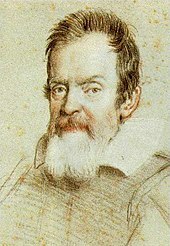 Two centuries before Semmelweis, and long after his death, Galileo Galilei (1564-1642) was honored with the titles of both the “Father of Observational Astronomy” and the “Father of Modern Physics”. (One wonders if he ever observed an eclipse of the sun or moon.) It could be said that he was a victim of the Semmelweis Effect. He surely caused a lot of cognitive dissonance among his close-minded, indoctrinated clerical critics. This original thinker, philosopher, scientist and mathematician had proved beyond a doubt that the earth revolved around the sun – rather than the other way around, which was the archaic interpretation of some of the stories in the Old Testament. The impertinence of this scientist to dispute long-held religious beliefs incensed religious authoritarians who had been indoctrinated into believing the ancient teachings that the sun revolved around the earth. Anyone saying otherwise was a damnable heretic that deserved punishment – and so Galileo was condemned by the church to house arrest, a punishment that continued for the remainder of his life. Galileo and Semmelweis were treated the same way that Dr Andrew Wakefield was treated a generation ago when he proved that the same strain of live measles virus that was in GlaxoSmithKline’s MMR vaccine was found in the infected bowels of a series of severely regressed autism patients, all of whom had been suffering with severe abdominal pain and chronic diarrhea soon after they each one had been injected with GSK’s live virus MMR shot (findings which, by the way, have been replicated a number of times by other independent researchers). Dr Wakefield and his 11 co-authors in the research group weren’t really trying to make the point that the new syndrome they were researching was an iatrogenic disorder, but that is how many of the perpetrators understood it. The series of victims of the MMR shot all had severe, chronic, measles virus enterocolitis and they were all also severely regressed autism patients that had been normal children prior to the MMR inoculations. And because Wakefield defended the study’s findings after it was peer-reviewed and then published in The Lancet (and was then celebrated by the thousands of British parents whose autistic spectrum-afflicted children had suffered similar vaccine-induced disorders), he was hounded mercilessly by the pharmaceutical giant GSK, Rupert Murdoch yellow journalism media empire (Murdoch’s son sat on the board of GSK) and ultimately the Big Pharma-complicit medical establishment that combined to hound him out of his home country of England. Similarly, Semmelweis was driven out of Austria to his Hungarian homeland, where he was met with similar hostility when he continued to promulgate his findings. Some of his forward-thinking students published journal articles that supported his thesis. And open-minded physicians elsewhere on the European continent were convinced of the truth he had uncovered, so that they too began instituting good hygiene in the delivery rooms. It was only a couple of decades after Semmelweis’s death (from a vicious beating by security guards after he was tricked into being admitted to an insane asylum) that Louis Pasteur came up with the germ theory of infectious diseases, thus making sense out of – and finally proving – Semmelweis’s theory, even to those who had destroyed his career. Only posthumously was Semmelweis honored for his contribution to women’s health. All he got during his short life was undeserved condemnation, disgrace and ignominy and an early, painful death. Both Semmelweis and Wakefield were intentionally made “radioactive” (or “leprous”) by the medical establishment that was threatened by unwelcome new scientific truths that they irrationally refused to acknowledge. One difference between the two pioneer physicians is that the medical establishment was able to convince Semmelweis’s wife that he was insane and needed to be removed from polite society, while happily, Wakefield’s wife believes in her husband’s important work. She has remained supportive of his continued efforts to convince close-minded physicians of his truth. Authoritarians throughout history – not just fossilized physicians who desperately want to believe that “science is settled“ (or can ever be” settled”) – have behaved like they know everything that needs to be known about their chosen profession, while in reality they just haven’t wanted to go through the effort of having to learn something new, especially if the new information contradicts their previously deeply held beliefs. Many of today’s medical establishment “authorities” have vested interests in the drugs and vaccines that cause some of them to become oblivious to the iatrogenic disorders caused by the drugs and vaccines that were integral to their profession. There are thousands of examples that present similar ethical dilemmas to my profession. For instance, many of us physicians and physician’s assistants prescribed Merck’s popular arthritis drug Vioxx to some of the 60,000 patients that died of heart attacks directly because of Vioxx. (Many millions more were heart-sickened but survived – so far.) We were, by definition, complicit in causing some of those iatrogenic deaths or illnesses, although we weren’t medicolegally liable. In those cases, the real fault lay first of all with Merck – who did the deeply flawed studies – but also with the FDA – the agency that approved the long-term use of the drug but didn’t require long-term safety studies. Such short-sightedness, sadly, is normal for the FDA. 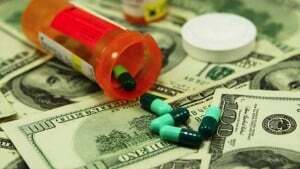 The same accusations of malfeasance could be leveled against every Big Pharma corporation that made every SSRI, every benzodiazepine tranquilizer, every anti-psychotic drug, every ADHD drug and every sleeping pill that we practitioners wrote prescriptions for and which ALL are fully capable of causing serious, permanent body and brain damage, although such manifestations may only become obvious years later. And, of course, the same accusations of iatrogenesis could be leveled against every Big Pharma vaccine maker that has added to their factory vats proprietary ingredients that include neurotoxic metals and other toxins that likely have synergistic (multiplying, not just additive) adverse effects when they are injected into the tiny muscles of infants known to be immunologically and neurologically immature. What should alarm every physician and every parent (and every over-vaccinated soldier and pre-dementia adult) is that such vaccine combinations have never been evaluated for either short-term or long-term safety. One of the earliest examples of drug- or vaccine-induced iatrogenic disorders involved Smith Kline & French (SKF), the predecessor corporation of GlaxoSmithKline (GSK) and the maker of the infamous neurotoxic, so-called “anti-depressant” drug Paxil. GSK also manufactures the MMR vaccine, which contains three live viruses, including a strain of measles which was found in the infected intestines of the Wakefield autism research group discussed above. Both of those drugs are currently under fire by watchdog groups, but the major media does not report on such delicate (ie for media advertisers) issues. SKF got FDA approval in 1955 for its dementia-inducing, memory-impairing and brain-damaging “major tranquilizer” Thorazine (which was the prototype for future so-called “anti-psychotic” drugs like Mellaril). Thorazine was the first of a flood of other dependency-inducing and brain-damaging “anti-psychotics” and then by a host of the so-called “minor tranquilizers” like Librium and Valium. Such dependency-inducing drugs naturally made a lot of money for any number of multinational drug companies – as well as many psychiatrists. Ever since the break-out of psychiatric drugs on the market in the 1950s, we physicians have been bamboozled into trusting the fast-tracking of drugs and vaccines through their FDA approval process without long-term safety studies! And the epidemic of psych drug-induced dementia and the epidemic of vaccine-induced neurological and autoimmune disorders are evidence of the over-looked dangers. The FDA is the federal regulatory agency that approves vaccines (except for the Anthrax vaccine that is being regularly injected into soldiers ever since Desert Storm and which has never been FDA approved), but the agency does not require vaccine makers to perform or present to the FDA either long-term or short-term safety or efficacy studies! Neither does the FDA require vaccine-makers to present double-blind studies to the FDA or comparative studies (against a competitor’s vaccine) or even safety or efficacy studies of the vaccines that contain more than one antigen (!). Vaccine-makers are also in denial (as is the CDC and the FDA and the AAP and the AMA) concerning the known neurotoxicities of many of the vaccine ingredients, such as the aluminum adjuvant that is currently in many vaccines or the preservative mercury (which was in many of the vaccines prior to 2000 (when the autism epidemic was just starting to surge). In 2011, in a decision that granted Big Vaccine further protections against legal liability for when their vaccines killed or maimed patients, vaccines were justifiably labeled as “unavoidably unsafe” by the US Supreme Court. The same charge of “unavoidable unsafe” could have been made against the previously normal blood-letting in Dr Rush’s era and the lack of understanding by physicians about the importance of hand-washing for physicians in Semmelweis’s era..
Galileo’s critics refused to look through his telescope for the proof of his heliocentric theories. Semmelweis’s critics refused to look at the evidence he presented to them. Wakefield and many other anti-over-vaccination activists (many scholars and independent scientists among them) who have studied the complex science of Big Pharma’s pro-vaccination agendas – should be informing all concerned people to look at all sides of all issues before being tempted to make a firm decision. The following list of useful quotations from anti-over-vaccination whistle-blowers is must reading for every human – open-minded or otherwise – that will soon be threatened by coercive vaccination legislation that is in the process of working through most state legislative bodies. 1. Never vaccinate a sick child, even if just a runny nose from a viral infection, as all viruses are immunosuppressive, rendering the child more vulnerable to adverse vaccine reactions. 2. Never allow more than two vaccines per visit; avoid all combination vaccines. 3. Administer vitamin C before and after each vaccination, ideally in doses of 500 mgs every four hours during waking hours. Also give vitamin A in standard doses. 4.All forms of sugar should be avoided for several days before and after vaccines, as sugar has been shown to diminish the protective activities of the immune system by depressing white blood cells’ ability to destroy bacteria. “A most disturbing thing about this entire zika virus fraud is the role that the mainstream media has played in continually promoting the fear mongering campaign orchestrated by the CDC. This is another example of how the medical/pharmaceutical industry controls what our mainstream media reports. They have gained the power to control not only what health information is reported, they also have the power to censor or not report any information that would be damaging to their financial interests. “Here is one obvious example of this censorship. On April 14, the Reuters News Agency reported that more than 11,000 pregnant women in Colombia had tested positive for zika. More than 2,700 of them had already given birth, yet there were only two confirmed cases of microcephaly (compatible with the normal background rate). With only two cases of microcephaly out of more than 2,700 births, their health minister all but stated that there was no zika epidemic in Colombia. This was just more proof that the zika virus is NOT the cause of microcephaly and there is no epidemic. “But this was a total contradiction to all the fear mongering claims of the CDC, and as far as I know, this information was censored and never even reported by any of our mainstream news media. So, by keeping the public in the dark, the CDC has been able to continue with their fear mongering, and is still pressuring Congress to give them $1 billion more of our taxpayer dollars to fight this fake epidemic and develop a new vaccine. “All infectious diseases decreased without vaccinations. 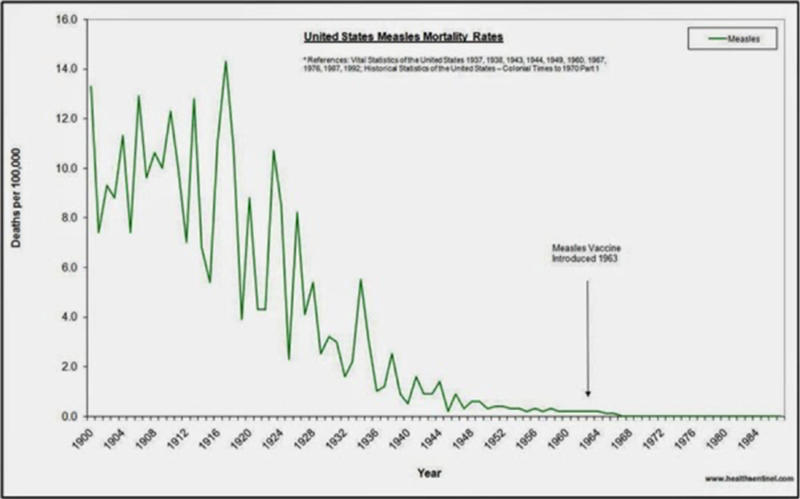 Not only did vaccines have no influence over the decrease of the diseases, the contrary is true, they slowed down the downward trend of all diseases. The best example for this is polio. After the majority of people were vaccinated, severe epidemics occurred, such as in 1962 in the German speaking countries, after vaccination had been in full force for 3 years. Dr Buchwald carefully collected the facts in his book, which prove this fact beyond doubt for all infectious diseases.” — Anita Petek-Dimmer, German-born Swiss anti-vaccine activist. “I tell practitioners that vaccines are drugs, albeit biological drugs. I remind them that they would not consider it good medicine to give an unnecessary pharmaceutical drug on a recurring basis. I think it is even worse to give a vaccine…that isn’t necessary. The possible adverse consequences of a vaccine generally far outweigh the adverse consequences of a pharmaceutical drug. A pharmaceutical drug is usually much more restricted in its action. However, each time we stimulate an immune response, we have to look at the effect on all body systems—not only on antibody responses or cell-mediated immunity, but also on interactions with the endocrine system and the nervous system.” – Dr Ronald Schultz, Professor and Chair of the Department of Pathobiological Sciences, University of Wisconsin-Madison, and an expert in companion animal vaccines. “A 2007 [Zika] outbreak on Yap Islands in Micronesia is estimated to have affected nearly 75% of the (island’s) population of some 12,000 people, and a 2013 outbreak in French Polynesia affected nearly 28,000 of 270,000 residents. Neither epidemic caused a spike in microcephaly.” — Quartz (qz.com)? “It is difficult to get a man to understand something, when his salary depends upon his not understanding it!” –Upton Sinclair, anti-fascist, anti-imperialist American author who wrote in the first half of the 20th century. Sinclair’s 1903 novel “Jungle” (about the repulsive slaughterhouse practices in the meat-packing industry in Chicago) led to President Theodore Roosevelt’s pushing through the Pure Food and Drug Act of 1906. “Sudden Infant Death Syndrome has been reported following the administration of DPT. The significance is unclear. 85% of SIDS cases occur in the period 1 through 6 months of age, with the peak incidence at age 2 to 4 months.” (From the accompanying insert to Connaught Labs DPT vaccine.) — Jane Orient, MD, executive director of the Association of American Physicians and Surgeons (AAPS) and clinical lecturer in medicine at the University of Arizona College of Medicine, and a professor of clinical medicine at the Oregon Institute of Science and Medicine.